Billy Joel is back with his first new song since 1994 – sort of. The 58-year-old singer has made a triumphant return with “Christmas in Fallujah”, a protest song about the war in Iraq, with proceeds going to charity. However, don’t expect to hear Joel’s trademark piano on the recording – in fact, don’t expect to hear much of Joel himself. The semi-retired entertainer decided to let a young musician from Long Island, 21-year-old Cass Dillon, take the lead vocals. Proceeds from the song, available on iTunes, will go to Home For Our Troops, a non-profit organization that builds specially adapted homes for severely disabled veterans returning home from Iraq and Afghanistan. It is a cause close to the singer’s heart, and earlier this year he contributed to Five For Fighting frontman John Ondrasik's CD produced exclusively for troops stationed overseas. The compilation also featured songs donated by Sarah McLachlan and Josh Groban. 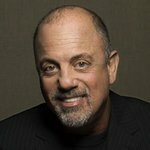 Billy Joel is certainly no stranger to philanthropy, a fact that was recognized when he was honored as MusiCares Person of the Year in 2002 for his accomplishments as a humanitarian. 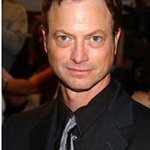 Joel is well known as being a supporter of several causes, and contributes regularly to organizations around his hometown of Long Island. Over the years he has played benefit concerts for Charity Begins At Home, Farm Aid, USA For Africa, several AIDS groups, the United Service Organization, as well as many concerts to raise money for environmental causes, such as Sting's Rainforest Benefit Concerts in the late 1990s, and Don Henley's Concert For Walden Woods. While on tour in Japan in 1994, Joel experienced the disastrous Kobe earthquake, and donated the proceeds from several shows to relief efforts. Joel’s record for benefit concerts looks set to continue into 2008, with the singer being booked to headline the Soles4Souls Opening Night at WSA concert on February 21 at Orleans Arena, Las Vegas. Soles4Souls is a non-profit organization with a simple aim – to change the world, one pair of shoes at a time. The foundation was established by Wayne Elsey during the Asian Tsunami in December, 2004, with the idea to donate shoes to people devastated by the disaster. A quarter of a million shoes were donated by shoe companies and individuals, and another three quarters of a million were donated after Hurricane Katrina in 2005. The benefit concert will be hosted by Miss Massachusetts 2005, Cristina Nardozzi, who appeared in the movie “Ocean’s Thirteen” and also hosts “The Good Show”, a celebrity-driven television program that features stars and their favorite celebrities. Tickets are available at www.openingnightatwsa.com.